An incredible weekend of table tennis was at North Ayrshire Table Tennis Club at the weekend for Round 1 Group B of the European Cup. This seen top teams from Romania, Belgium, Turkey, Spain and of course Scotland, compete in a round robin format at St Matthews Academy, aiming to qualify to Round 2. Congratulations goes to Yalova Belediye (Turkey) & SC Miozeni (Romania) on qualifying from Group B to Round 2 of the ETTU Cup where they will compete in Spain on 9th to 11th October. 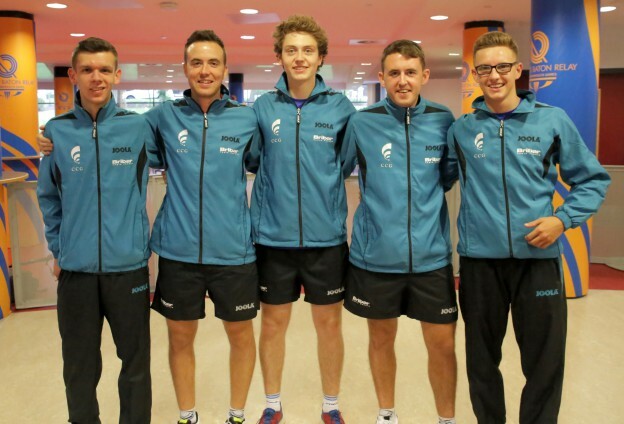 This was the first time North Ayrshire TTC have competed in this prestigious international competition and showed that they can compete and win at this level. Up against full time players, Colin Dalgleish picked up a straight sets wins over Belgium no 3 player. Richard Main overcame the challenge of the Romanian no 3, Andi Petriscu, and Chris Main just fell short in arguably the match of the weekend, losing 11 – 9 in the deciding set to Umut Bassan (Turkey). North Ayrshire TTC would like to thank all spectators on attending the matches and to those from various table tennis clubs in Scotland who came along and showed their support. This seen St Matthews hall at full capacity there to see North Ayrshire take on the Turkish side Yalova Belediye at the 7pm session. Excellent feedback through-out the weekend from all travelling teams, so a big well done to the organising committee, team of volunteers & officials on making this weekend as professional & exciting as possible. This entry was posted in Latest News on 21st September 2015 by Chris Main.